To view all the journal entries. 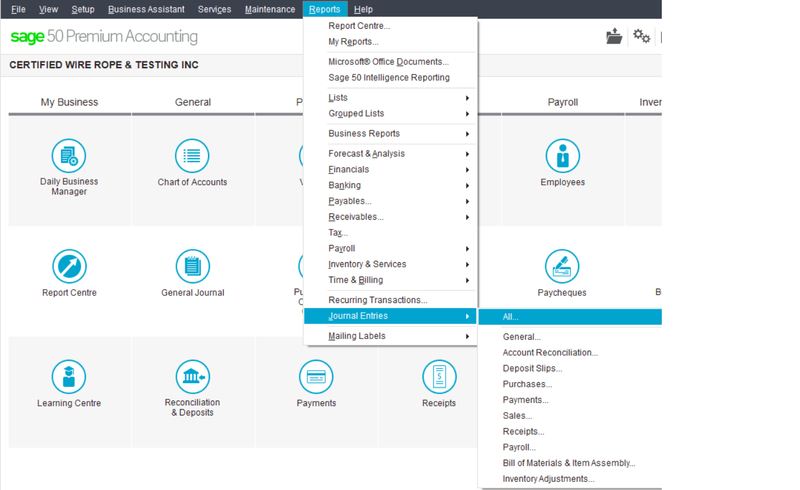 go to the home screen and drop down the Reports menu and go down to Journal Entreis and you can choose All. Your choices are by date or by journal entry #. Sage 50 is date sensitive. for you to be able to view daily transactions posted, the entries must be in a proper date range. ex: entries from March 1 – 5. otherwise a report based on journal entry numbers can be viewed. ex: J1276 – J1280. the date of these transactions will than be irrelevant. the entries can be posted to several different dates. Try this if you like the system to give you transaction number automatically at the time of posting. in the home screen drop down Setup menu and choose User Preferences. From the side menu choose Transaction Confirmation and check off the box for journal entry number. This way you can keep track of the JE# and it does not matter what date your posting the entries. You can simply ask the report to print by JE#. This does not give me a list of all entries I entered today. I don’t pay attention to Journal entry numbers here at my work and I have entered various dates so choosing the day or Journal entry # will not work. 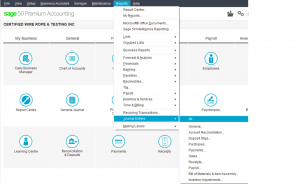 Sage 50 is date sensitive and the choices for viewing the report is by date or by JE#. If you go back to the same link I added a few more steps and how to setup the system to automatically give you a JE# prior to posting.